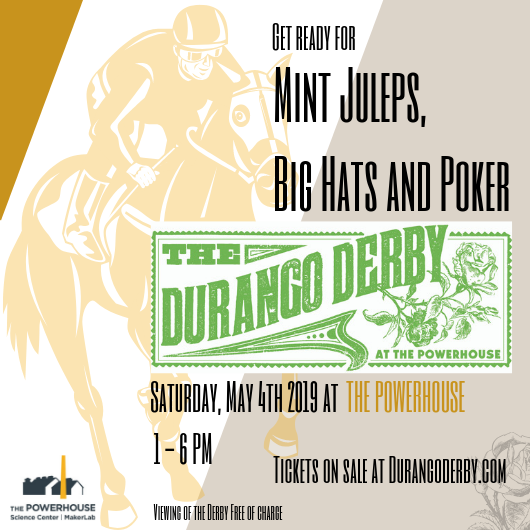 Join us for the Original Kentucky Derby Party: the Durango Derby, at the Powerhouse Science Center on May 4th from 1pm to 6pm! Come in your finest Kentucky Derby attire to watch the races. Enjoy music, gambling, hat contests, and the infamous Mint Julep! Food and full bar will be available. 21+ event.